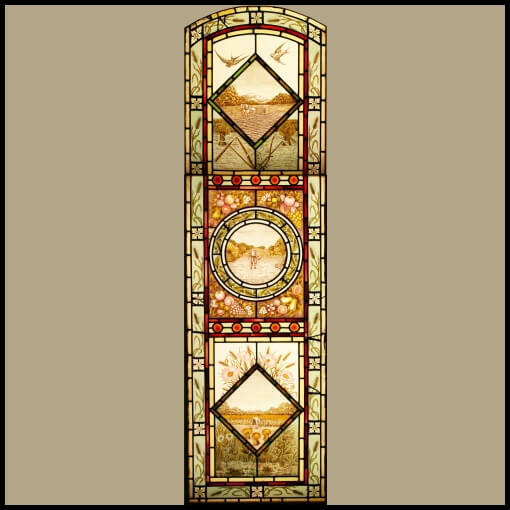 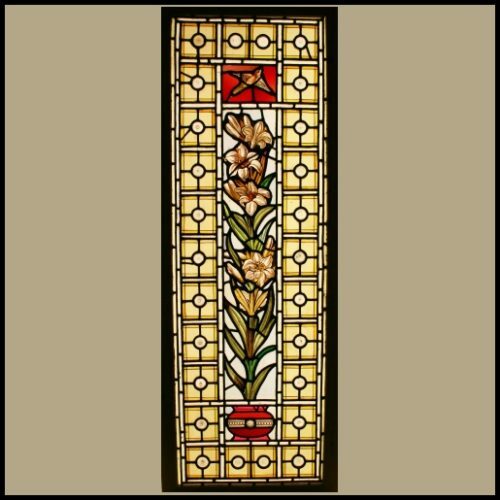 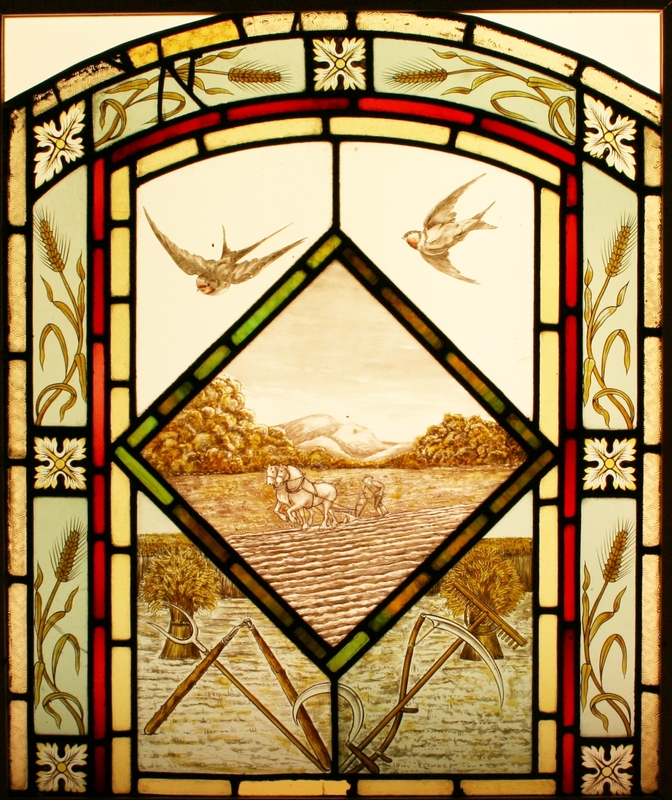 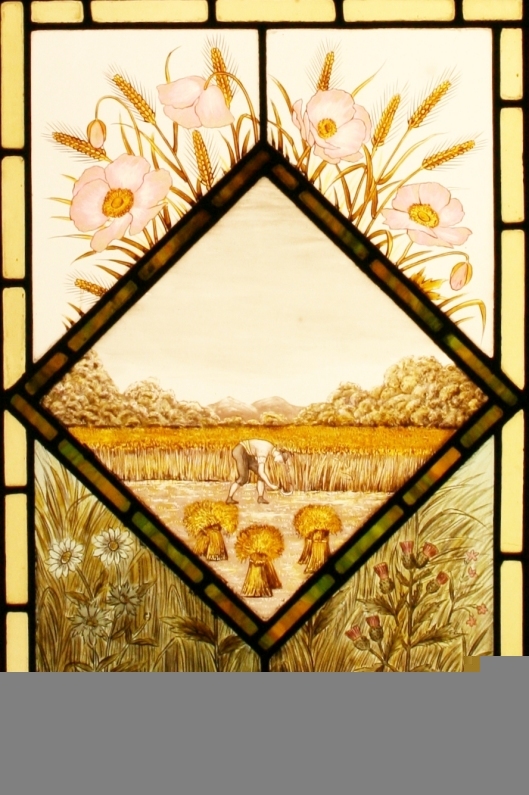 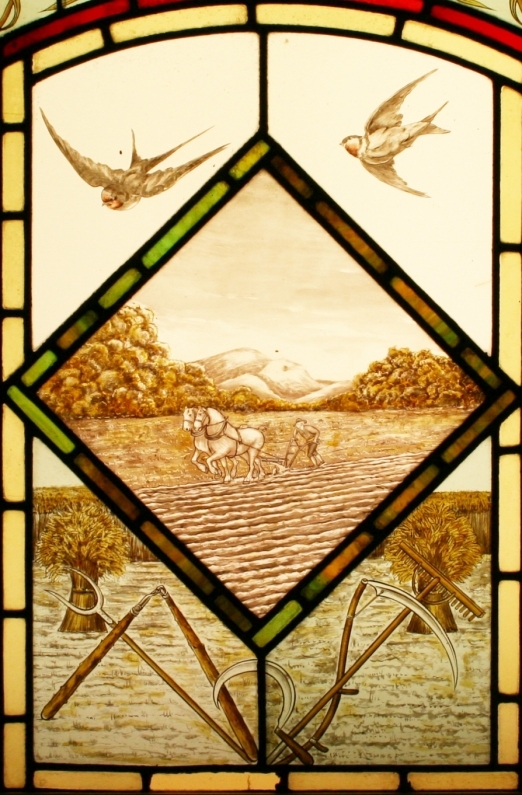 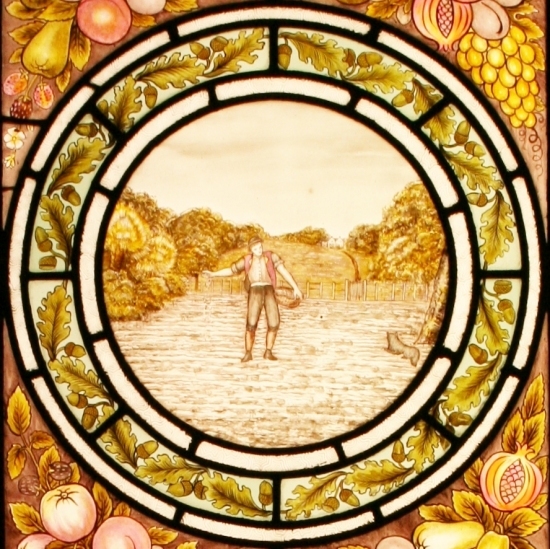 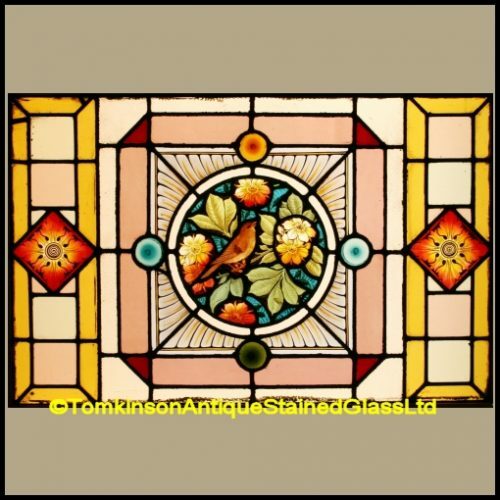 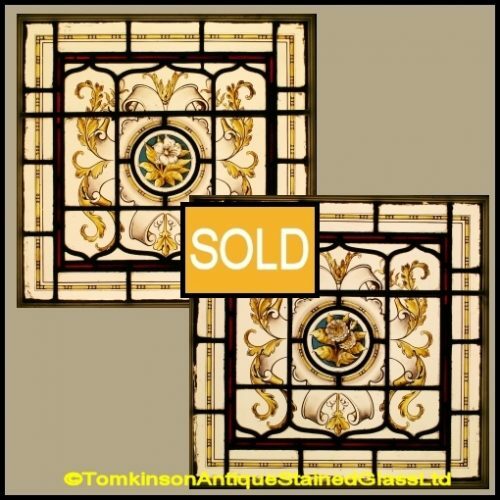 Large Victorian stained glass window, circa 1895, leaded with hand painted glass depiction three central panels showing a farmer working his land. 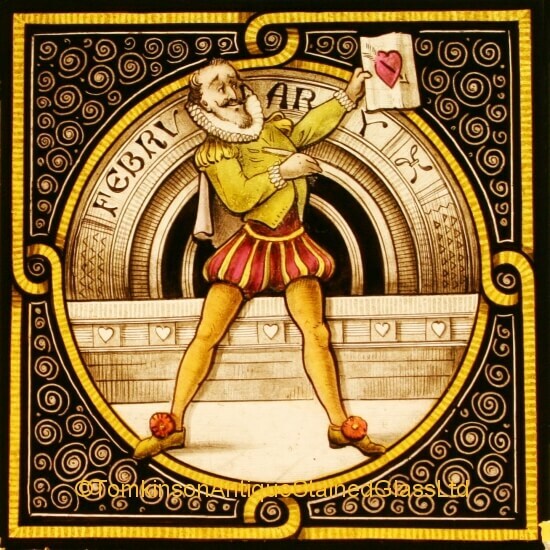 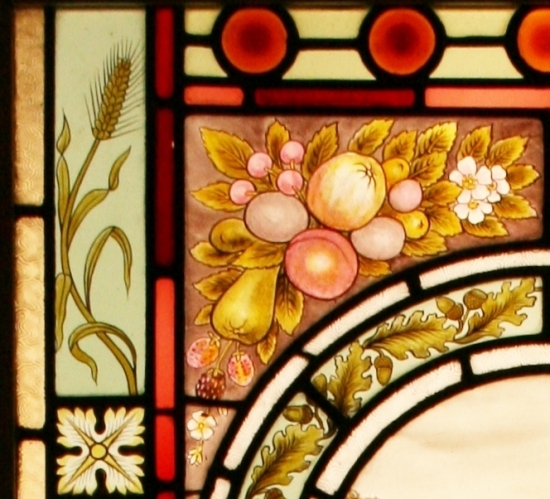 Around are various fruits, flowers, stalks of wheat and several coloured glass borders. 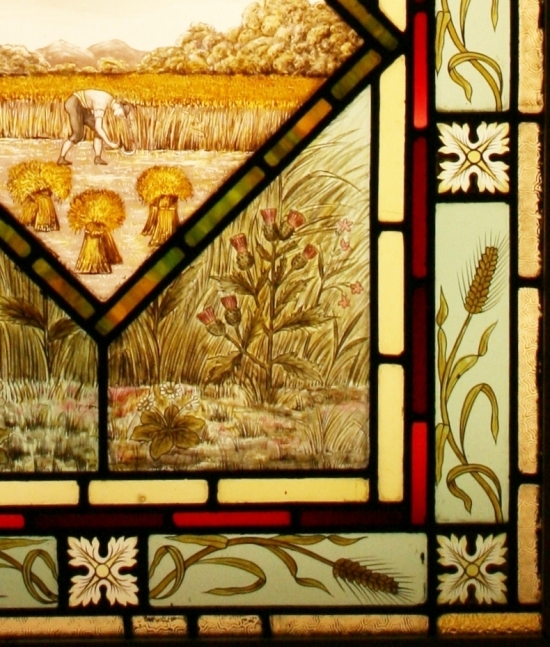 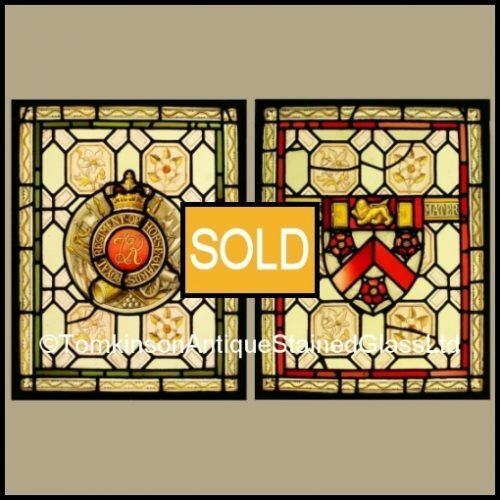 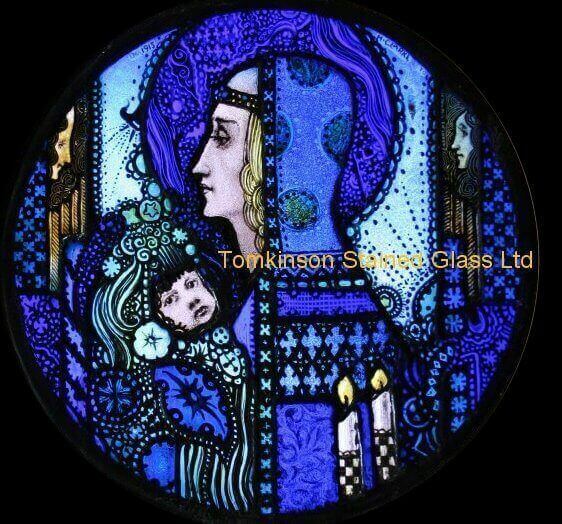 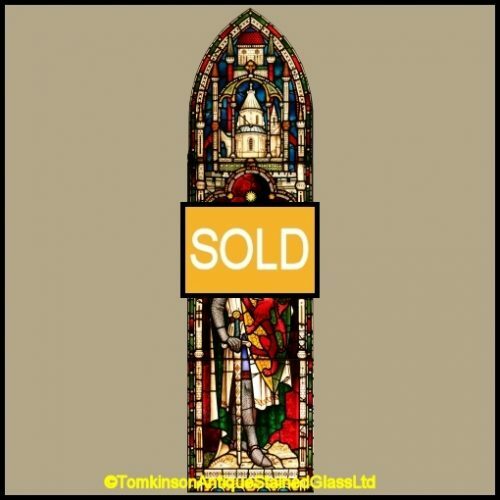 Slight restoration which has kept the window in original condition. 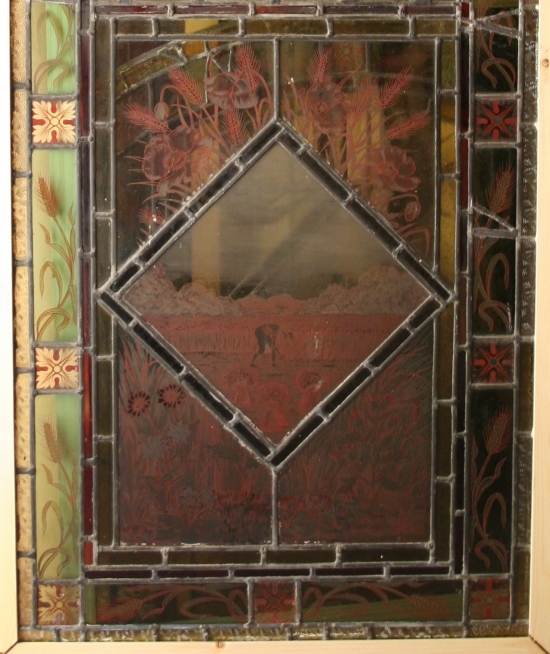 Window is in two sections.